My go to quick summer time meal, hummus. 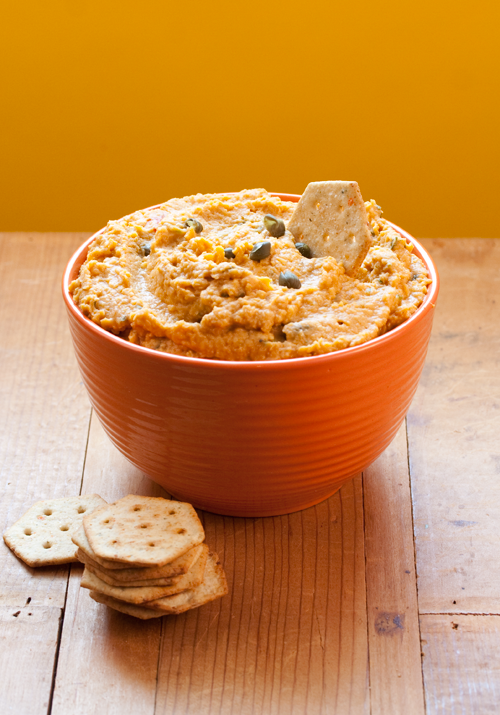 This hummus recipe has a kick of hot sauce and the crunch of fresh sweet red peppers. I substitute the usual tahini paste that goes in hummus with peanut butter and toasted sesame oil. I never seem to have tahini on hand. In this 1 hour and 15 minute video, John McDougall addresses the issue of starch in our diet and the history of starch. Very interesting stuff. Watch to the very end where he addresses vitamin supplements, good stuff. Does anyone who reads my blog have John’s new book The Starch Solution yet? Is it a good read? Looking forward to getting my copy soon. Prepackaged Vegan junk food — not something I usually care to partake in very often. And don’t take this moment to throw in my face, my cake recipes that use bleached cake flour, please. But when I saw news of a vegan nacho chip that looked eerily similar (at least on the packaging) to Doritos, I raised a curious eyebrow. 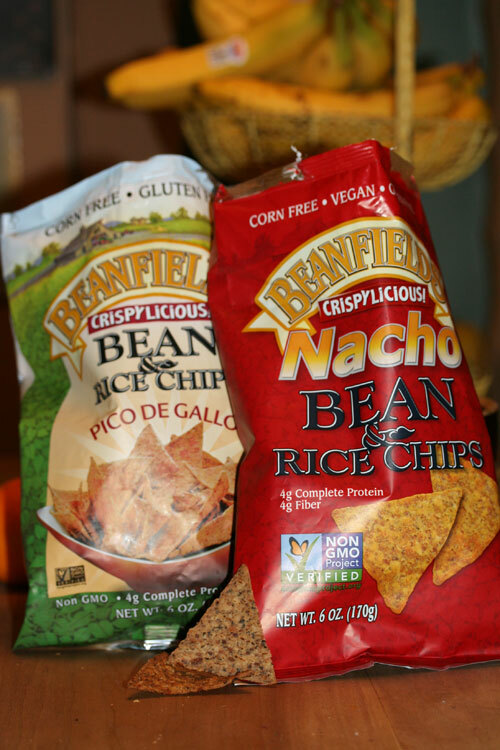 Beansfields has developed 3 flavors, the Nacho, Pico De Gallo and Sea Salt. I discretely procured mine through veganessentials.com, wearing dark shades (it made me feel less exposed.) After all I am someone who advocates that these kinds of things are, quite frankly, the devil. I decided to try the Pico De Gallo and Nacho. A week later they arrived, along with a few other items I ordered, neatly packaged in their very own box within a box for their safe arrival. The first thing I noticed that the bag is much smaller than it seemed on the website. Maybe I’m too use to things like these being in giant super-sized bags. Or maybe my stomach was ready for a PAR-TAY! I open the Nachos first. I say to myself as I’m opening them, “I will have 1 serving and 1 serving only and put the rest away.” As the smell of nacho hits me in the face, I immediately decide that 2 servings would be more appropriate and promise to eat them with a celery stick. The first thing I notice is that the chips are not a festive orange color like on the package, they are more of a brownish blah. However that apparently didn’t stop me from eating half the bag. They actually did have a nacho flavor, although you could taste the beans. They also had a nutty, slightly burnt taste. As I started to feel guilty about eating so many I searched the back label for some comfort. Were they fried or baked? Nowhere does it state. Although 6 grams of fat per serving isn’t THAT BAD, it probably means they are. The first ingredient listed are black beans, second navy beans and third long grain rice. That did ease my mind somewhat. So it was time to taste test the Pico De Gallo. They tasted similar to the nachos but with a hint of ranch and smokey undertone. They must have tasted decent because I ate half bag of those as well. As I felt like I had been punched in the gut with a fist full of fat I suddenly realized why I can’t and shouldn’t have things like this in my house. Dr. John McDougall would be so disappointed in me if he could see what I had just eaten. I shuddered as I pictured his disapproving frown. Although I give these a thumbs up on taste I wouldn’t recommend them for me or anyone else. They’re ok, healthier than Doritos but that isn’t saying much. 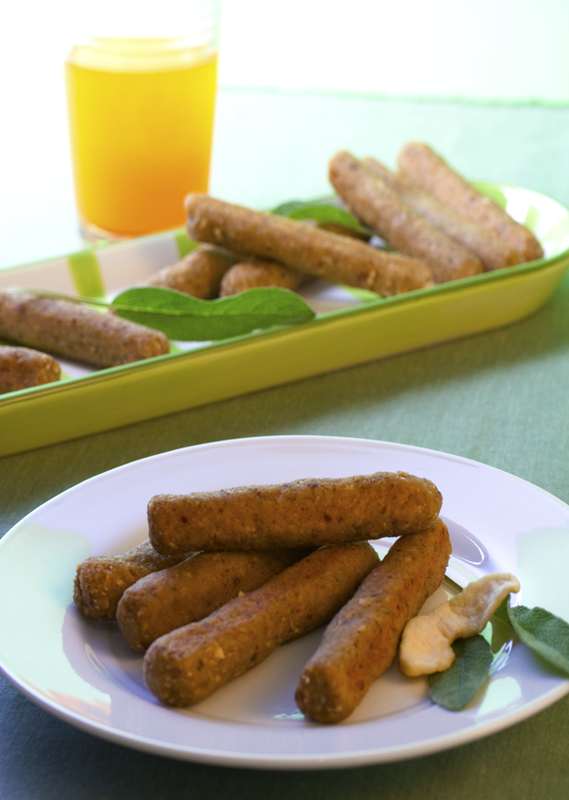 The 6 grams of fat in each serving cancels out the fact they are made from beans and rice. Frankly I’d been happier had I just eaten a bowl of whole black beans with 0 grams of fat.